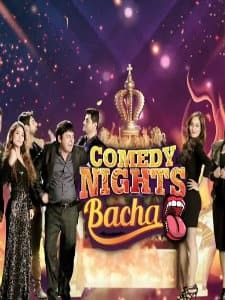 Comedy Nights Bachao is an Indian comedy television series which premiered its first season from 5th September 2015. 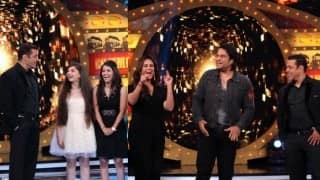 The show is the first insult comedy show of India and it roasts its guests which are mostly from television or film industry who come to the show to promote their upcoming release. The show airs on Saturday nights and is broadcasted on Colors channel in India and ARY Zindagi channel in Pakistan. The show consists of guests with similar interests. For example, the show had villain special where all the big villains of Bollywood were called as the guests to be the roast. Comedy Nights Bachao started on 5th September 2015 and the series is a reality show format similar to Comedy Circus. It also has used most of the similar production team members and is produced by Optimystix Entertainment. The show consists of the biggest stand up comedians of Indian television and the show is presented by Krishna Abhishek and Bharti Singh. The format of the show is that two or three people would perform together at one time and they would try to roast the person or guest sitting on the guest seat. Most of the guests are from the movie industry. The guests feelings, personality traits are ripped apart through insult comedy and tounge-in-cheek punchline jokes. The jokes revolve around the guests personal life and public image. There are five groups in the show that perform and provide the memorable burns to the guests. 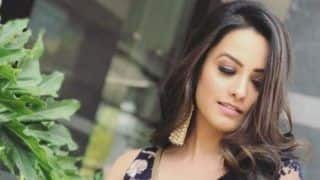 The groups in the show are termed as Jodis and the five jodis are Krishna, Sudesh Lehri and Adaa Khan constitute one Jodi; Bharati Singh, Karan Wahi and Pritam Singh; Anita Hassanandani and Mubeen; Shakeel Siddiqui and Shruti Seth; and Pooja Bose and Naseem Vicky. After the jodis have performed their gig, the guest also get the chance to do the stand-up and roast the jodis . The show has been very popular and is also considered as a direct competition to The Kapil Sharma Show. The TRP of the first episode of Comedy Nights Bachao was higher as compared to The Kapil Sharma Show. The show has completed more than 50 episodes and the second season begins from 25th September 2016. 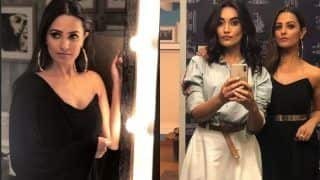 The show has been able to get big names on the show and the guest list on the show includes stars like Ranbir Kapoor, Deepika Padukone, Shah Rukh Khan, Varun Dhawan, Ranveer Singh, Salman Khan and many others. 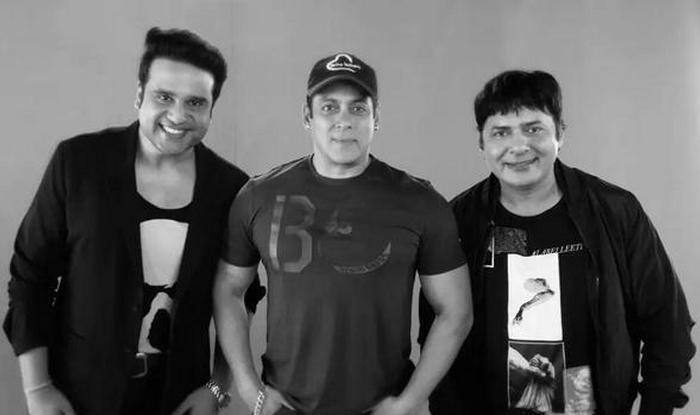 The first guests on the show were Sohail Khan and Mika Singh. The show has gained its popularity because of the insult comedy it provides to the audience. However, there have been instances where the actors have ignored the show as they fear the insult from the comedians. Bollywood starts like Akshay Kumar and Hritik Roshan did not promote their movies on the show with the same fear. 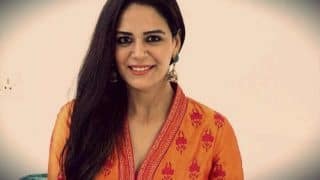 After this instance, the presenters Bharti and Krishna have decided to step down as the presenters and Mona Singh is reported to be the new presenter of the show to lower the level of insults done. Krishna and Bharti are however reported to be a part of the show and keep on performing. 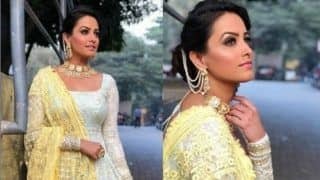 Naagin 2 star Adaa Khan is missing Comedy Nights Bachao team and we have the proof! 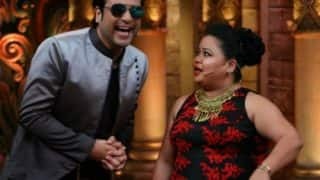 Comedy nights Bachao to go off air; hosts Bharti Singh & Krushna Abhishek confirm the news! 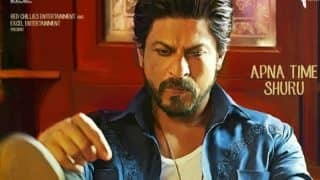 Will Shah Rukh Khan promote Raees on Comedy Nights Bachao Taaza? 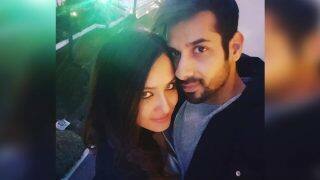 Comedy Nights Bachao Taaza: Krushna Abhishek doesn’t deserve any more importance, says John Abraham! 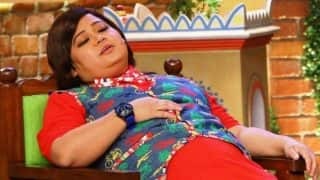 Comedy Nights Bachao host Bharti Singh says she feels amazing that people recognize her outside India! 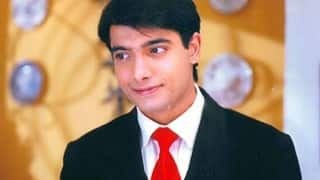 Comedy Nights Bachao Taaza: Kasam Tere Pyar Ki actor Ssharad Malhotra quits the show within a month! Comedy Nights Bachao Taaza: Ranbir Kapoor & Karan Johar promote Ae Dil Hai Mushkil; get roasted by Bharti Singh!